Workshops are not running at the moment. Please watch this space for further details. *Please note that we do not meet in CADWA * Click EWCCA for map. 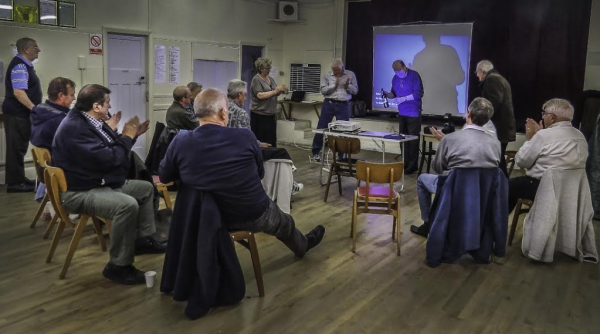 The Improvers group meetings are friendly and informal so bring along your equipment and exchange tips and ideas with other members. The Group meet at EWCCA Hall, 129a Dunbabin Road, Liverpool L16 7QQ (Known as the tennis club and situated behind the houses (map on website). Meetings are held on Sunday mornings from 11am to 1pm. Refreshments available. This will be a practical workshop following on from our January meeting on Micro Photography expertly delivered by Dave Harding. A number of set-ups will be arranged around the hall to be photographed. If anybody has a particular idea and would like to set up a table scene please feel free to bring along the necessary “gear”. Bring your cameras, flashguns and tripods. There will be at least one table set up with a lamp those who don’t use flash. Bringing along your camera manual would be useful if you have any questions or problems to discuss with other members. Maldwyn Jones will be giving a short talk on….how useful “On Camera Flash” can be, and when best to use it. Hints and tips on Photography….Questions welcomed. Mal will demonstrate how he tackles Post Production on his images. If you have an image that you are happy with but think it could be tweaked a little, then bring along your raw image for Mal to work on. I can’t wait for him to have a go at one of mine. April 10th Ted Baker and John Thomson – Critique Day. Bring along a couple of prints or digital images to get our judges comments and advice, if you need it.